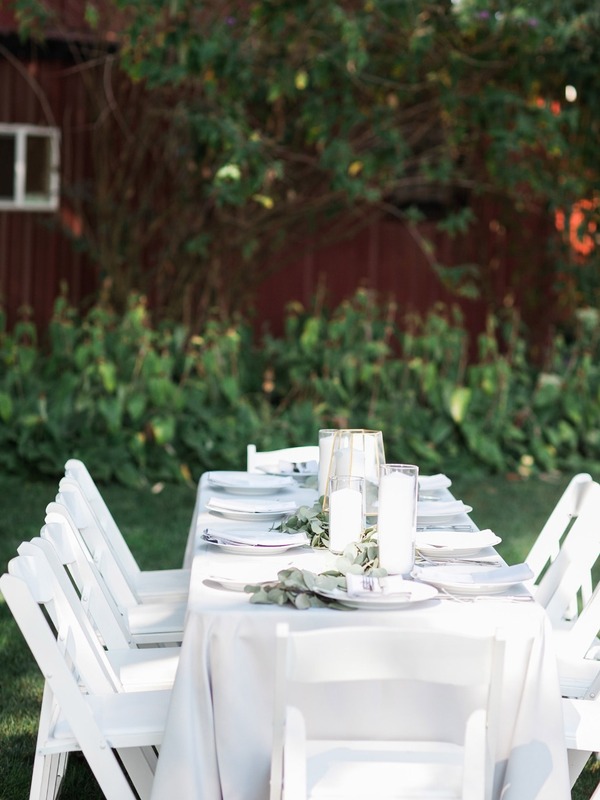 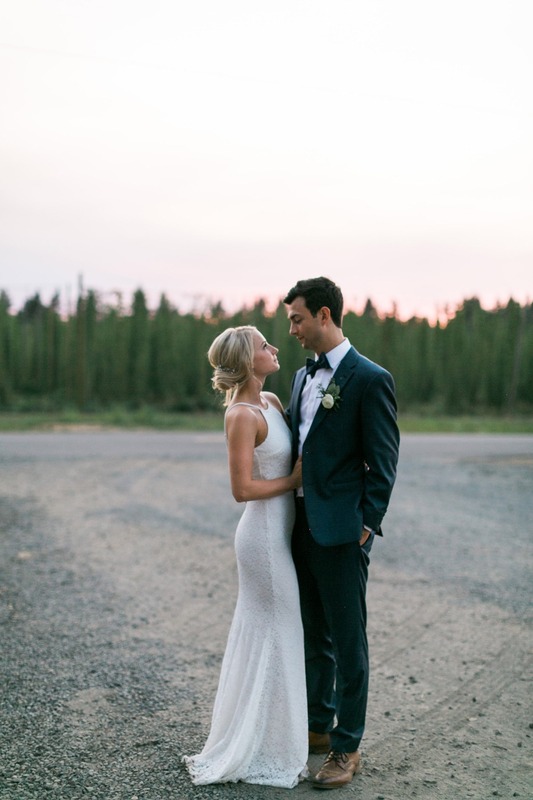 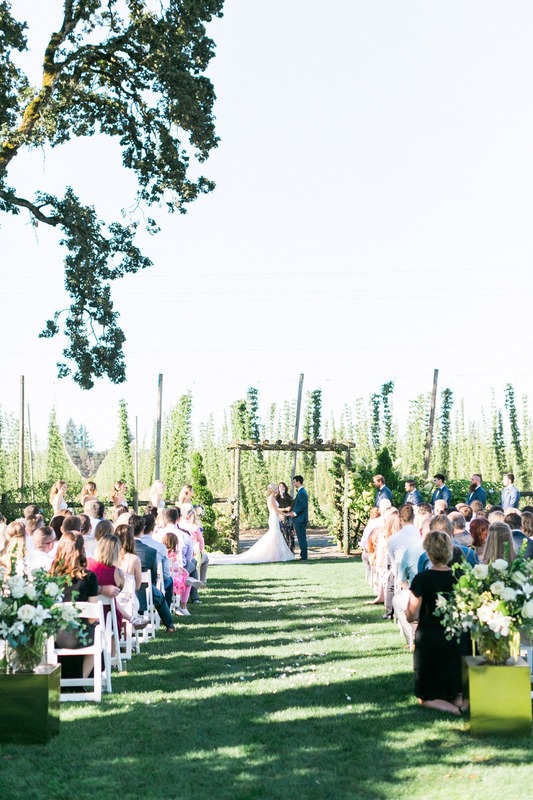 This summer wedding was certainly hoppin’ from beginning to end surrounded by tall and lush hops at the Wilmes Hop Farm in Oregon. 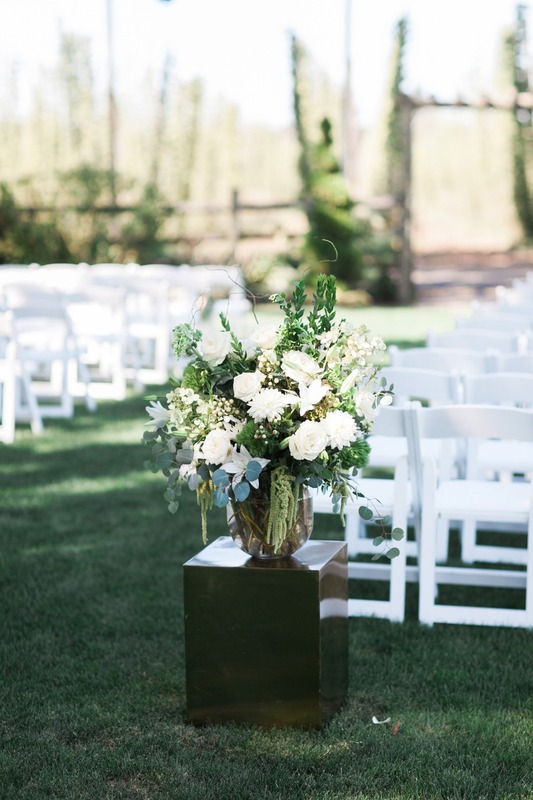 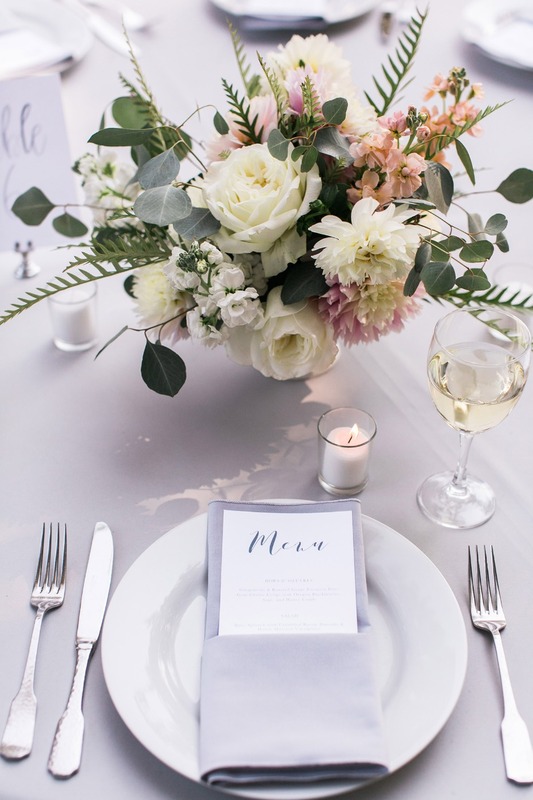 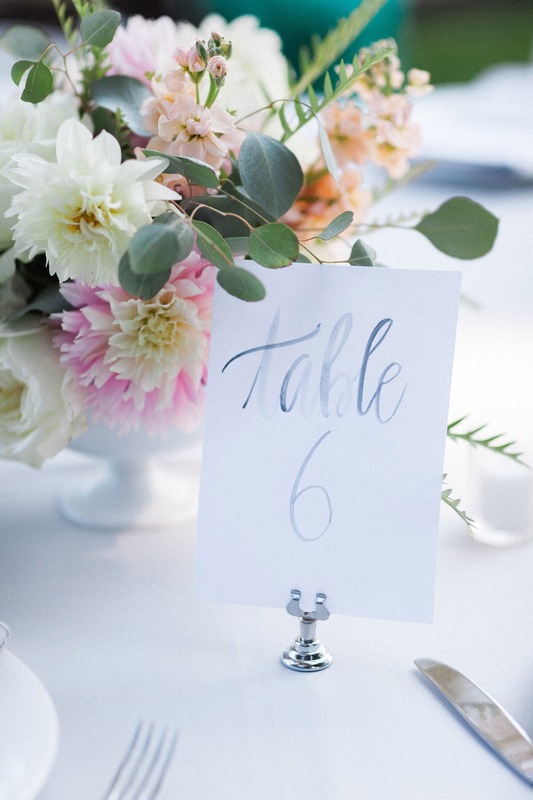 They kept their decor simple yet chic in shades on blue and white, paired with white flowers, greenery and a pop of blush. 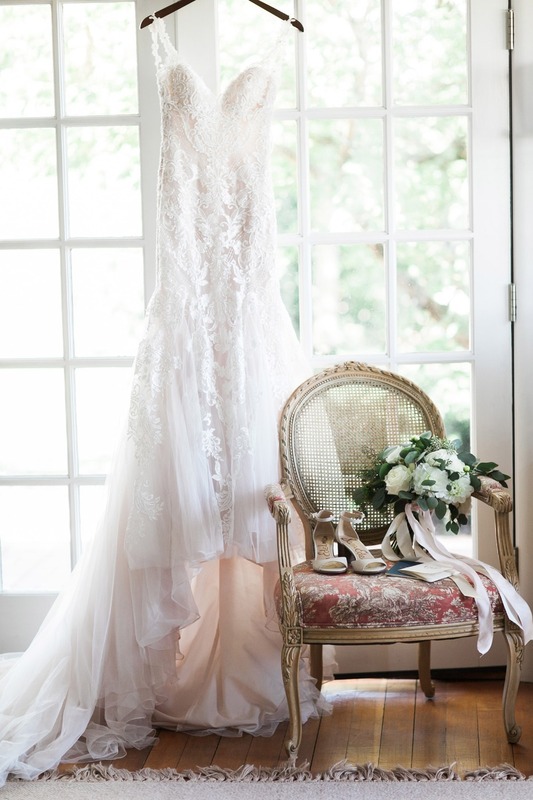 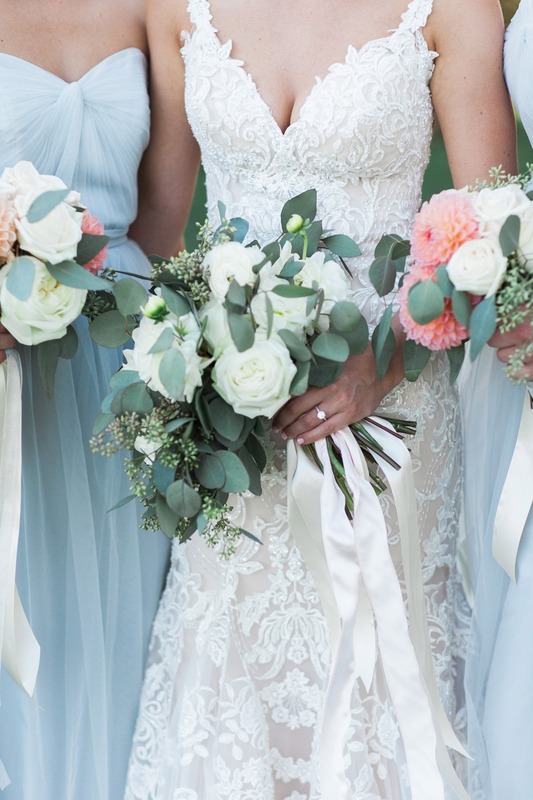 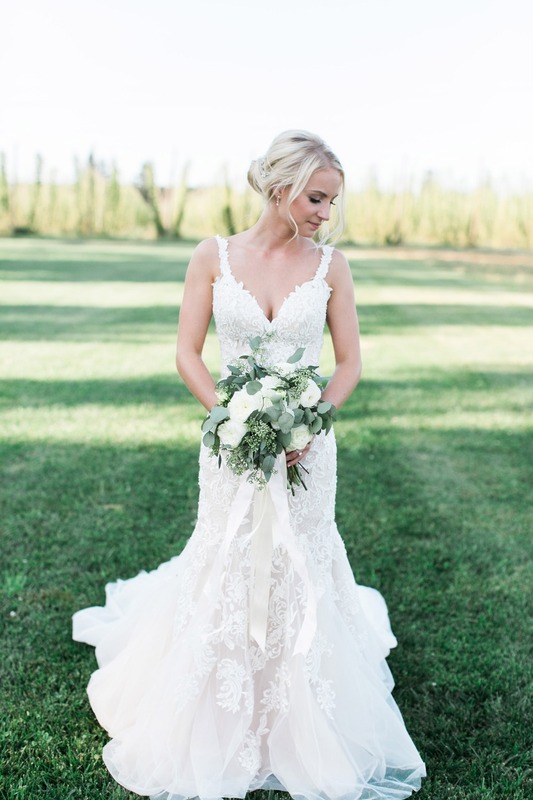 The bride stole the show in both of her gorgeous dresses, but we’re especially smitten over her blush lined wedding gown from Essense of Australia. 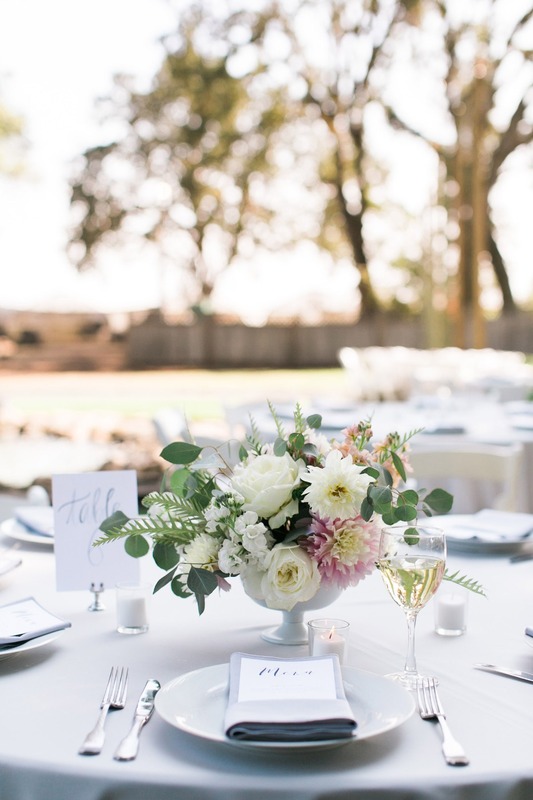 If you ready to see more, keep scrolling and be sure to visit the full gallery captured by Niki Rhodes Photo. 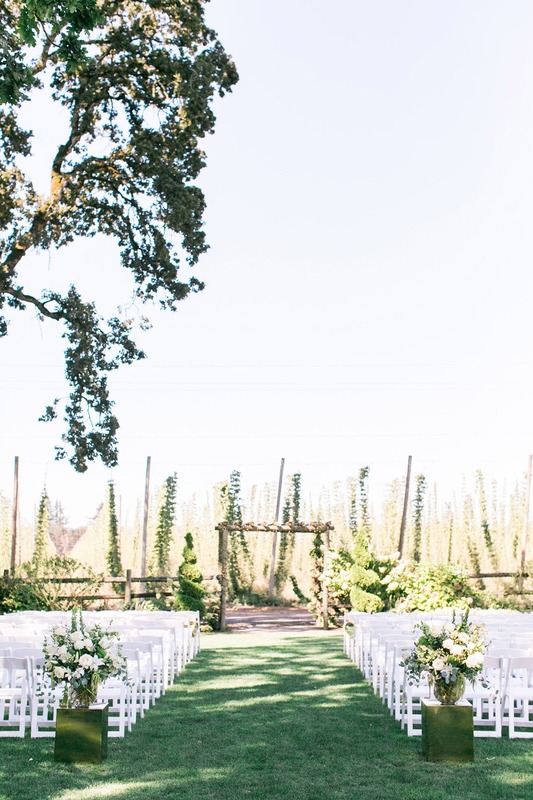 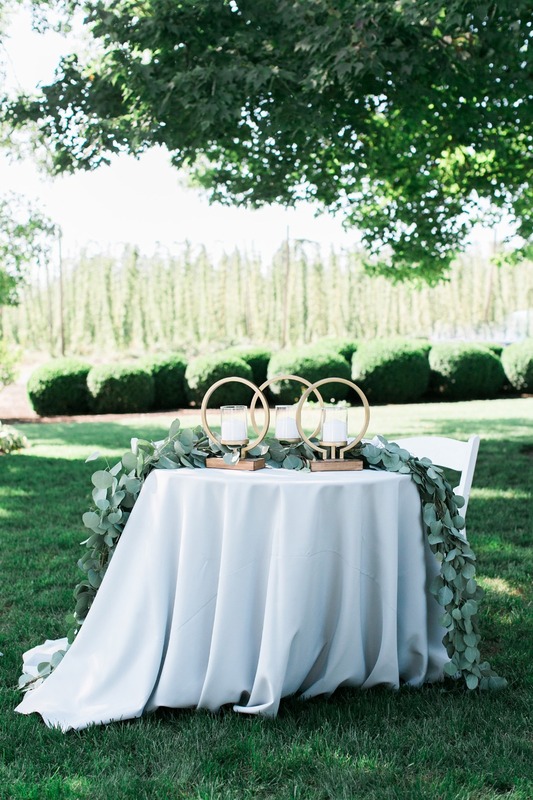 From Niki Rhodes Photo: Who wouldn't want to be married surrounded by the tall and lush hops at the Wilmes Hop Farm in Oregon? 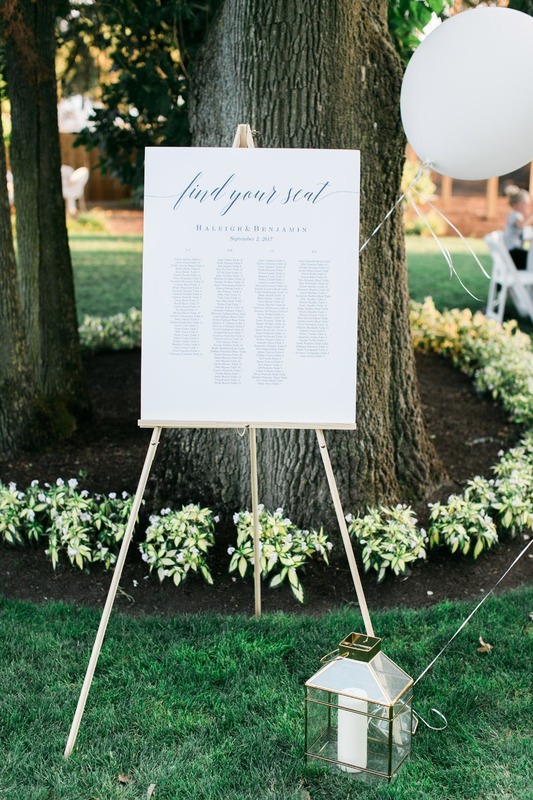 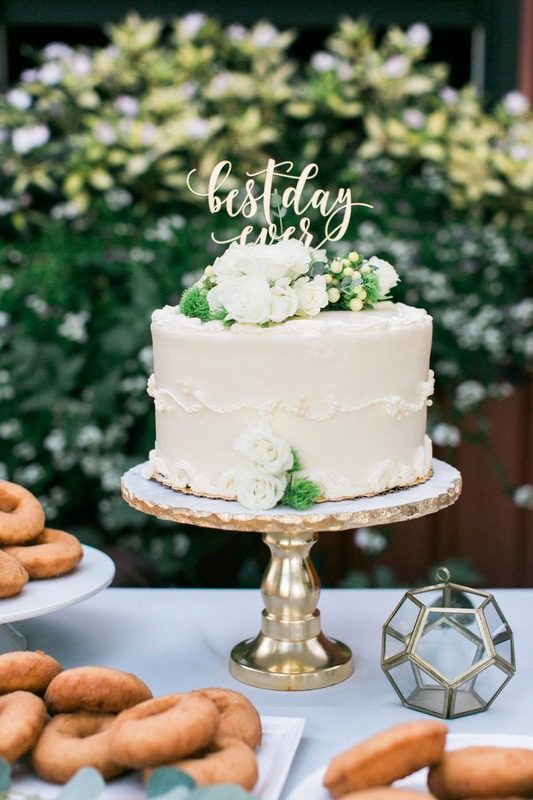 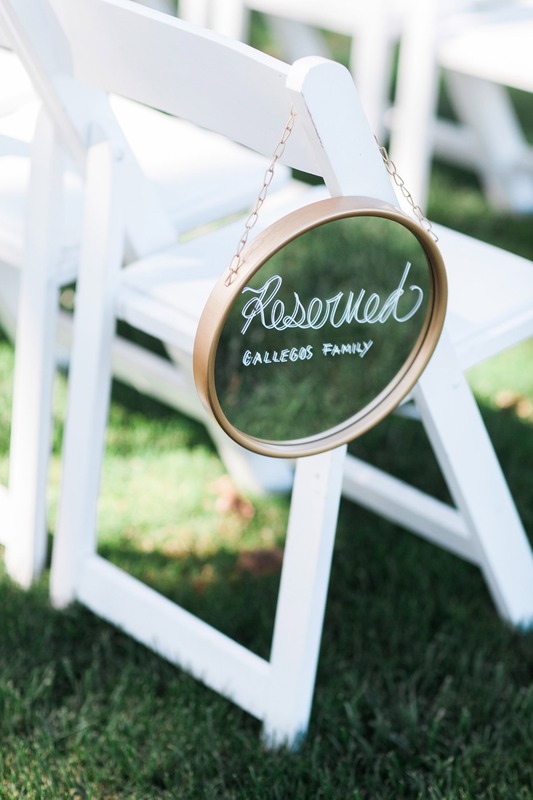 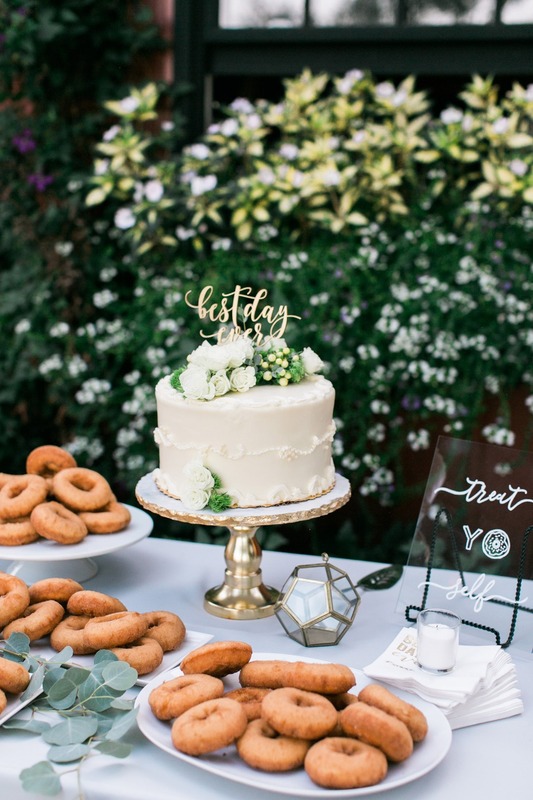 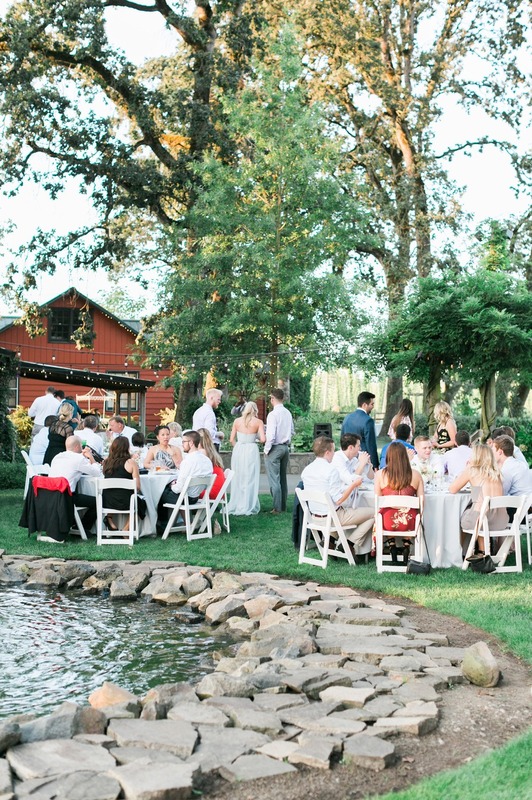 This farm wedding isn't your typical farm wedding. 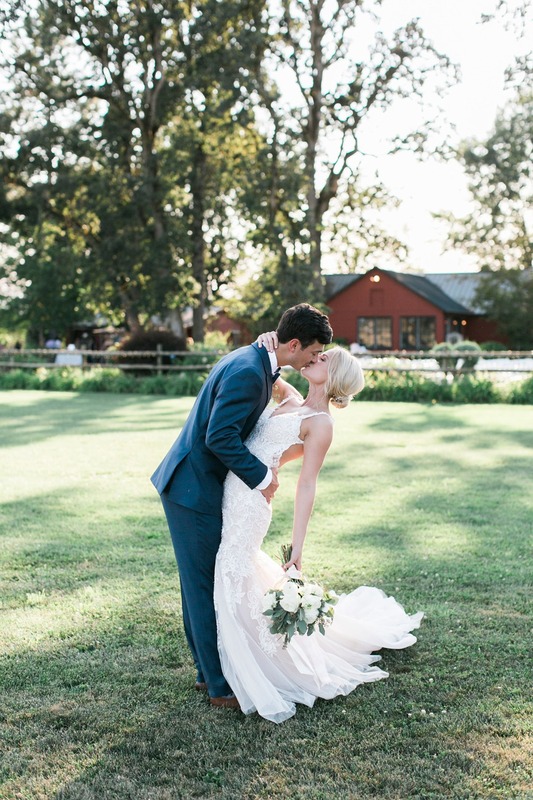 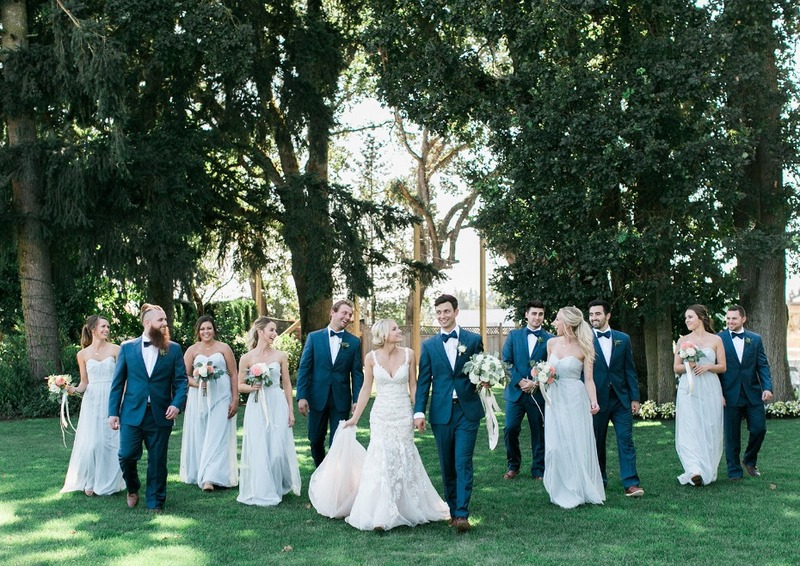 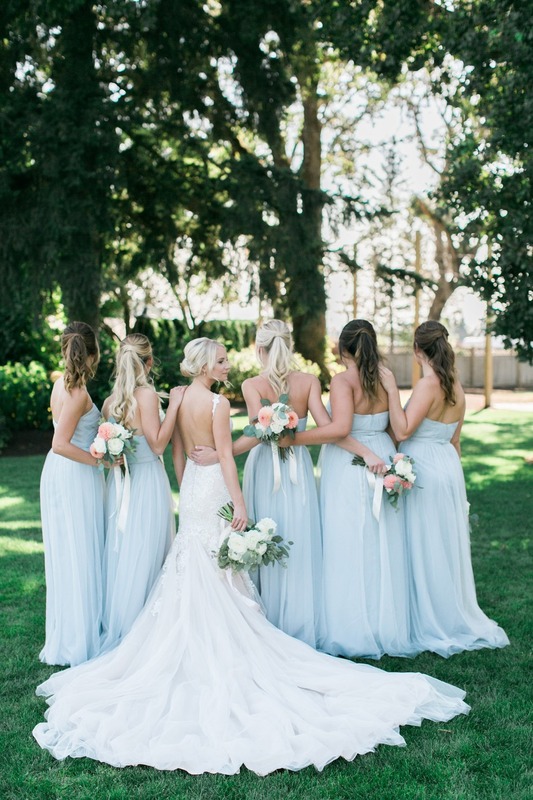 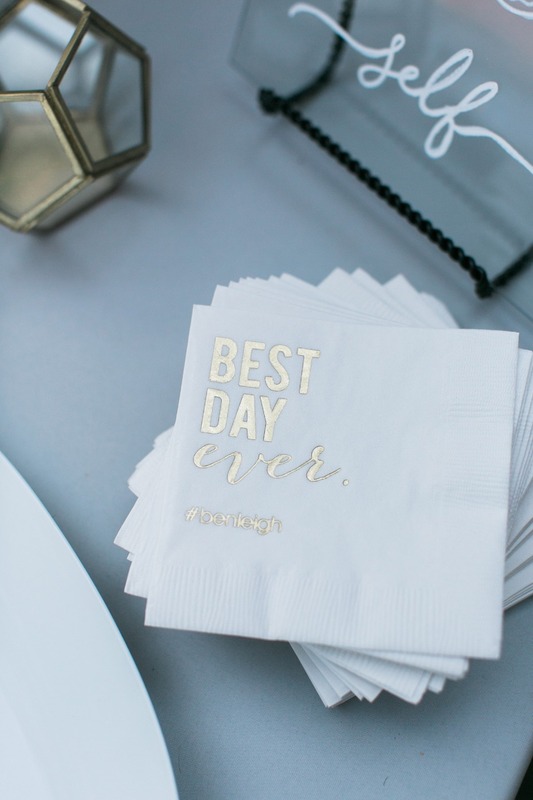 Haleigh and Ben are the most stunning couple and kept their wedding day just that, stunning, romantic and so classy. 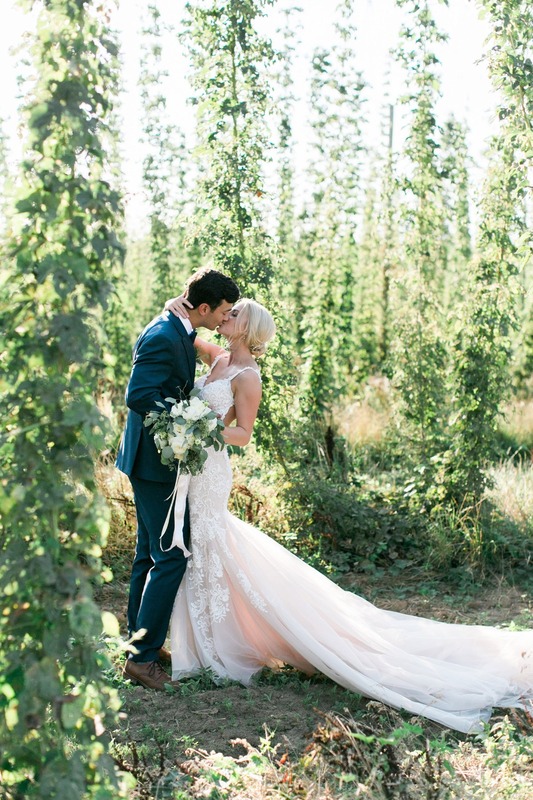 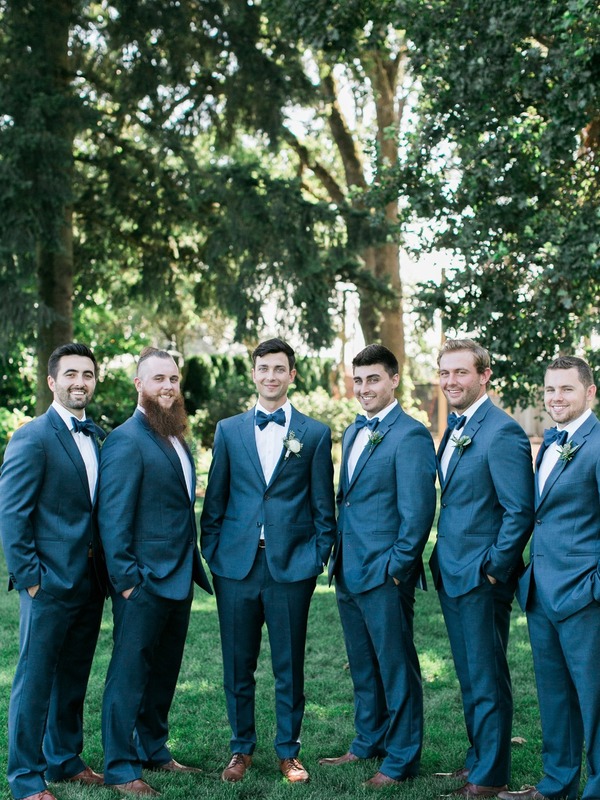 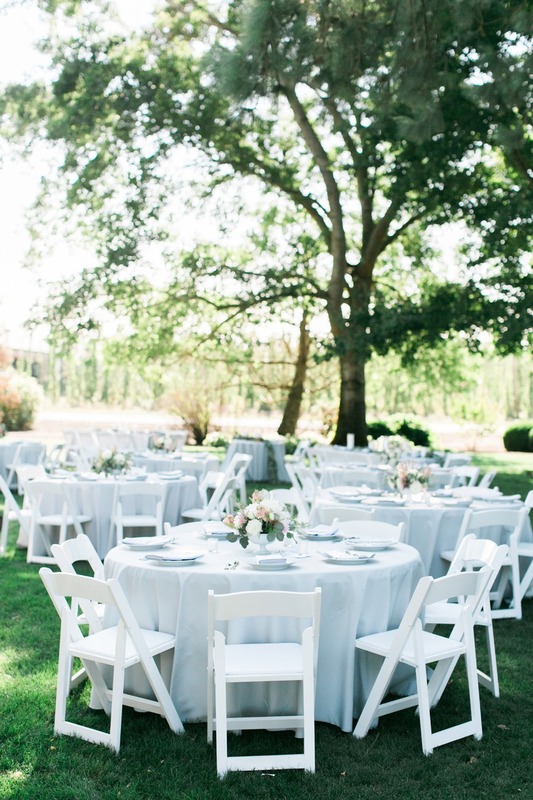 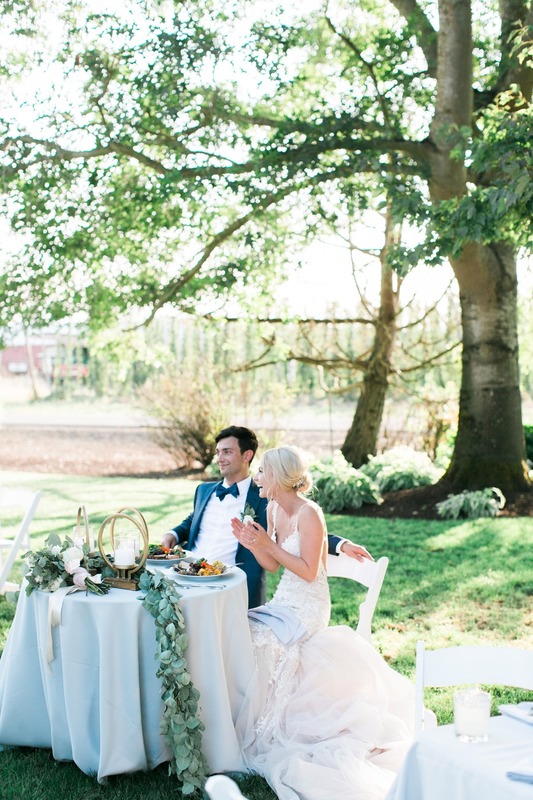 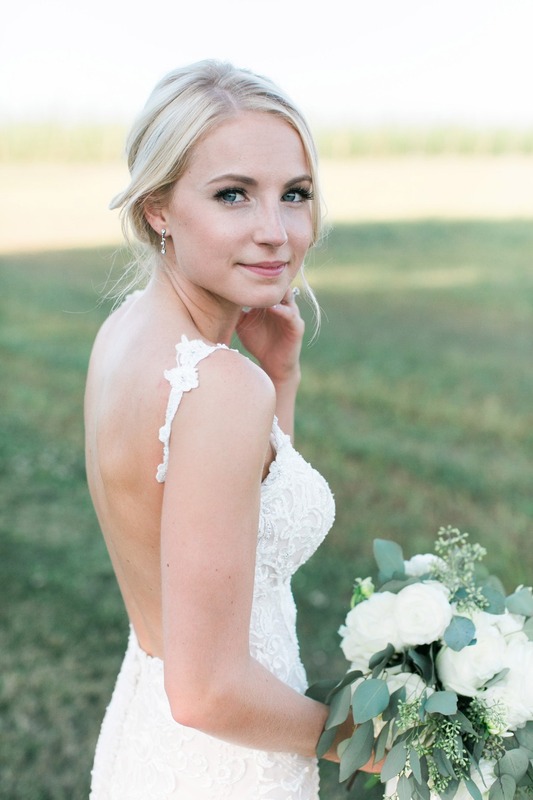 This lush hop farm had the best backdrop for an Oregon summer wedding. 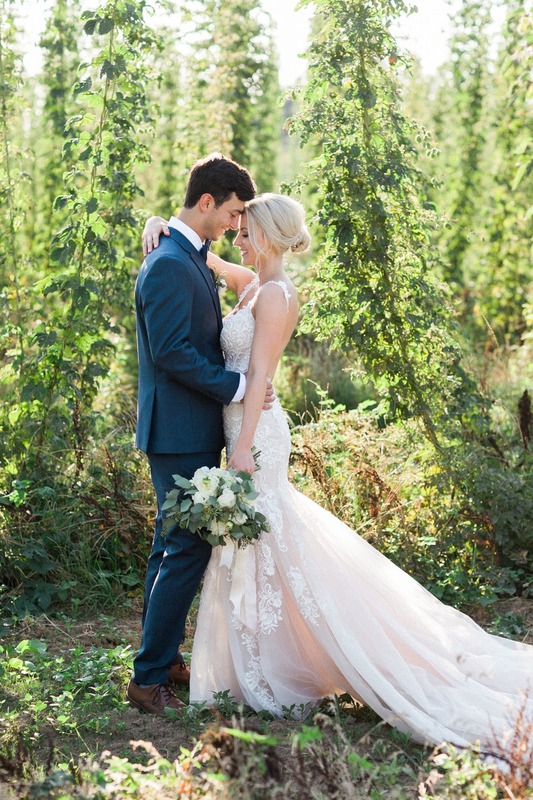 They did a wonderful job with every detail of the day. 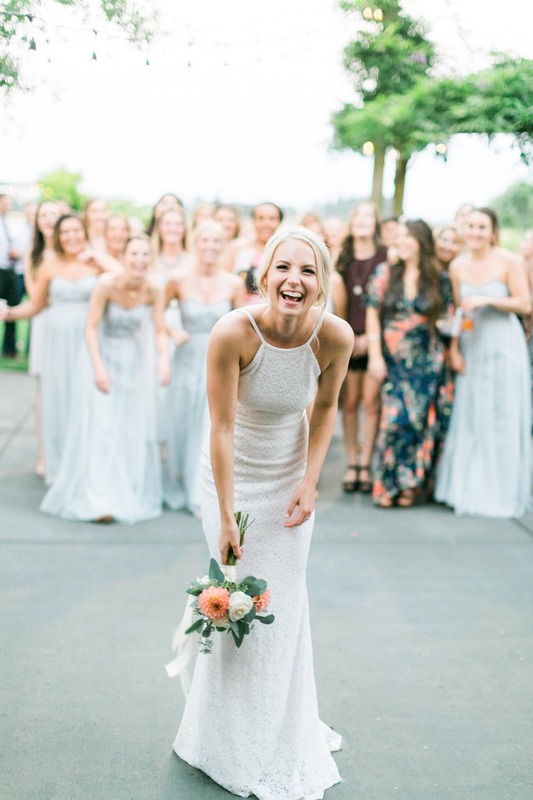 A warm ceremony, the most delicious food and entertainment for their guests, all with beautiful florals and a beautiful setting.